IT security is not just a matter for professionals. Today, your personal data and finances are in your computers. However, the security of these devices and our online accounts is generally very weak. This is due to the rapid development that a normal user doesn’t even have the chance to be updated about. The user is lost in the flood of technical terms and in the complexity of modern systems. Personal consultation, installation of new computers, phones et. However, basic IT security doesn’t have to be rocket science and even a lot of tools for it are completely free. Courses, training, and lectures of digital self-defense through a common language that can be understood and greatly increase your IT security. I have more than 20 years of professional IT experience, lecturing and writing articles on IT security, cryptography and new technologies. I am a member of Paralelní Polis, a nonprofit organization providing education in the area of digital freedom, where my primary responsibility is the development of CryptoLAB hackerspace. Jak funguje tzv. brute-force útok? Můžete si ho vyzkoušet. Calculation of time needed to crack password via brute-force attack. 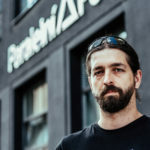 Milan Půlkrábek is an active member of Paralelní Polis, founder of CryptoLab, who has been dedicated for a very long time to digital privacy and its security. I especially appreciated his excellent technical and communication skills when organizing the Digital Privacy Workshop for investigative journalists. Pavol Luptak, Ethical Hacker, CEO and owner of Nethemba and Hacktrophy. Mr. Milan Půlkrábek has prepared an engaging lecture about Internet Security for students. The presentation was tailored for their age and their expected behavior over the Internet. Based on the students feedback, I can say that the lecture brought a lot of new information for them, and I believe that thanks to this lecture, they will think about their activities on the Internet and will follow the recommendations they received and protect their privacy. I met Milan in Paralelní Polis – we have been colleagues. As a CryptoLAB manager he often does various internal and external lectures and speaches. From all the above, the most practical lecture was about Mobile Security – all the information provided is useful in daily life. Milan’s speech is very friendly and extremly understandable and because of that, it makes it understandable for the unexperienced people too. He often uses in his lecutres daily life practices in a funny way and thanks to that, his lectures are always entertaining. If you are looking for a skilled IT Security Expert that speaks clearly, you can hardly find anyone better in Czech Republic.